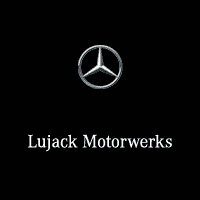 At Lujack’s, we know that our customers have a lot of choices when it comes to buying and servicing their vehicle. That’s why we reward our current customers to continue to purchase their vehicles from any of our Lujack’s locations. Once you’ve purchased a vehicle from any Lujack’s location, you will be eligible within 36-48 months for an additional $1,000 towards the purchase or lease of a different vehicle on top of all manufacturer incentives! All we ask is that all the factory recommended maintenance and service during that time has been performed at one of our locations.